ZAMBOANGA CITY, Philippines — The US military transferred rockets and munitions to the Armed Forces of the Philippines as support to its counterterrorism operations in Marawi against the ISIS-aligned groups, the US embassy said Saturday. In a statement provided to the press, the transfer was made by the Joint United States Military Assistance Group (JUSMAG) through the Mutual Logistics Support Agreement (MLSA) with the AFP. 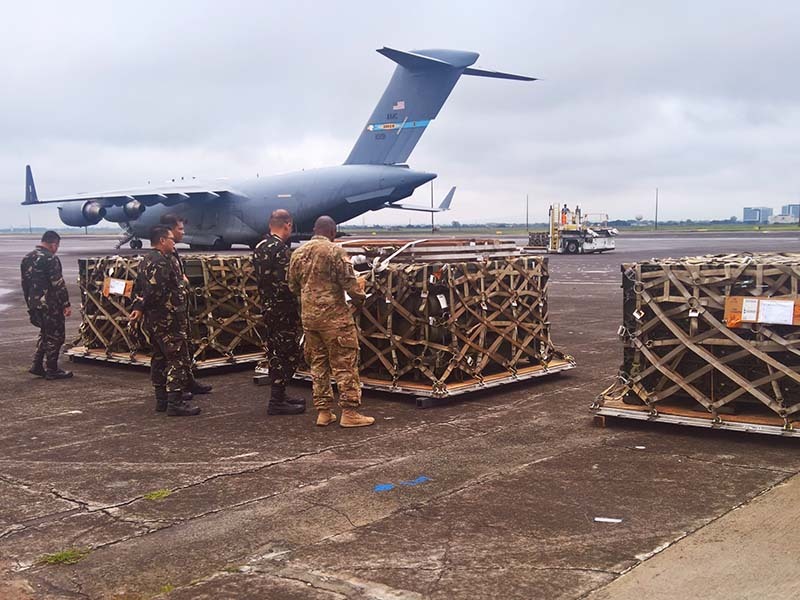 The US embassy reported that officials from the JUSMAG delivered recently 1,040 2.75 inches rocket motors and 992 rockets to the Philippine Air Force (PAF). Through the MLSA, the AFP is able to receive select munitions and equipment from US military stock in an accelerated process reserved for allies and close partners of the United States. “These timely transfers greatly enhance the Armed Forces of the Philippines’ counterterrorism efforts,” the statement read. "The munitions and weapons deliveries will enhance the AFP’s counterterrorism capabilities, and directly support AFP members actively engaged in counterterrorism operations in the southern Philippines, including Marawi,” it added. The military and police forces have been battling for more than two months now the ISIS-sponsored militant groups of the Dawlah Islaiyah, commonly known as the Maute Group, and the Abu Sayyaf faction of Isnilon Hapilon, the recognized emir of the ISIS in the Philippines. The military have been heavily relying on rockets through airstrikes in flushing out the militants occupying the buildings in the central district of Marawi. The US embassy said the shipment was just part of a series of upcoming transfers of logistic support from the US military to multiple branches of the AFP through both MLSA and the security assistance program. The Philippine Army is also scheduled to receive upcoming weapons deliveries. These include 250 rocket-propelled grenade launchers and 1,000 M203 grenade launchers, according to the embassy. The US embassy said the American government, being a proud and steadfast ally of the Philippines, will continue to provide support to the AFP’s long-term modernization goals and counterterrorism needs.